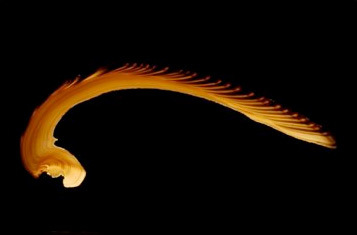 Historically it has been recognized that a diverse number of plant and animal taxa form repeating growth structures in their skeletons. Many times these structures represent physiological responses to environmental stimuli that can be regarded as biorecordings of the life and times of an organism. It was not until the last half of the 20th century that scientists realized the potential of asking and answering natural history questions through the study of these structures. In concert with natural historians, zooarchaeologists seized on sclerochronology as a tool to address one of the fundamental questions posed by archaeologists — during which seasons did people occupy a given archaeological site? The answer to such a question helps to define settlement patterns, and subsistence strategies. Such definitions expand our understanding of cultural complexity found in the archaeological record. There is an emerging body of zooarchaeological inquiry that is examining the intensity of resource use, resource management strategies, and natural and anthropogenic changes in the environment. Methods grounded in sclerochronology are helping to explore whether prehistoric peoples were good ecologists, conservationists, both, or neither. The literature also identifies instances where there are changes in zooarchaeological assemblages that are not anthropogenic in origin, but related to a changing environment (Quitmyer and Jones 2012). For full text please see:Quitmyer, I.R. and D.S. Jones. 2012. 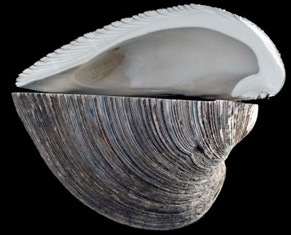 Annual incremental shell growth patterns in hard clams (Mercenaria spp.) from St. Catherines Island, Georgia: A record of seasonal and anthropogenic impact on zooarchaeological resources. pp. 135-148. In: E.J. Reitz, I.R. Quitmyer, and D.H. Thomas, eds. Seasonality and Human Mobility Along the Georgia Bight. American Museum of Natural History Anthropological Papers, Number 97. Jones, D.S. and I.R. Quitmyer. 2006. Sclerochronology: Playing back the recordings of life.